Marie with husband Rande at the 40th reunion. I have had a great 40 years. 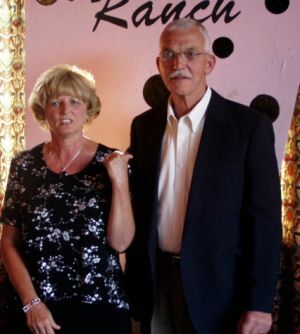 I have been married to the same guy for 37 years. We have two great kids… a girl and a boy. We have three wonderful grandkids. I worked as a secretary most of my working years. We have lived in Kentucky, Florida, and for the past 10 years in Illinois. 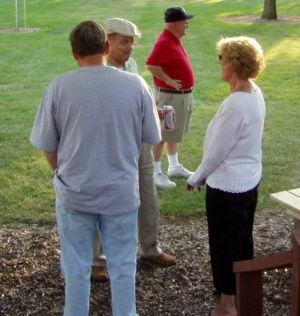 Marie talking with Jon Wittorff, Richard Swarn and Bill Castetter at Friday's cookout. 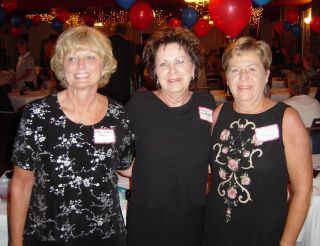 Three beauties,Marie,Judy Cooprider and Diane Chitwood at the 40th reunion.